This multipurpose 5 1/2 inch Clamp Light gives you the light you need, wherever and whenever you need it. The spring steel clamp, covered in a scratch resistant vinyl sleeve, in combination with its adjustable ball joint, holds the light securely to virtually any surface and allows it to be pointed right where it's needed. 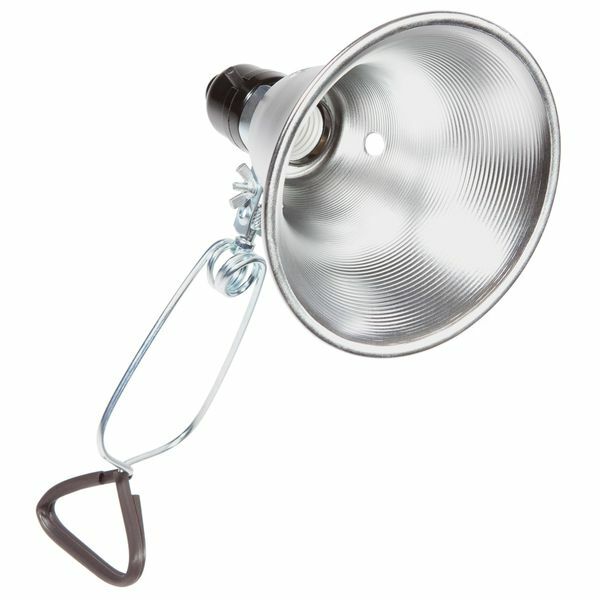 The 5 1/2 inch Clamp Light will handle up to a 75W Med Screw Base Bulb (bulb not included). It has a 6 foot 18/2 SPT-2 cord.